Communion 2019 Dresses Have Arrived! 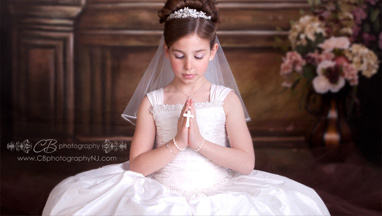 Once Upon A Time, a Special Occasions Boutique, is home to one of the largest collections of communion dresses in northern New Jersey. Our line of dresses for the 2018 season includes designs from Christie Helene, Joan Calabrese, US Angels, Sarah Louise, Tip Top, and many more. Dresses range in size for 4 to 16 including half sizes in both couture and ready to wear styles. We pride ourselves in finding the perfect dress for each of our young customers making it a pleasant, stress free, and exciting experience. This year is a special year for out family; we are celebrating out “10 Year Anniversary” in business! To show out appreciation to all our customers we will be celebrating with many anniversary surprises. We look forward to seeing you.